If you’re an Australian living with a disability you have probably wondered whether you are eligible for NDIS funding. The NDIS funding model provides a way for all Australians who meet the criteria to gain access to the exact care and support they need. 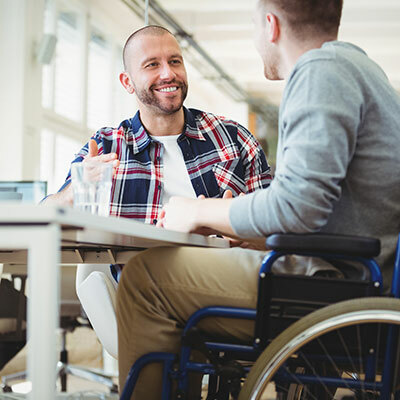 As a registered NDIS service provider, Beacon Support is able to help you navigate what NDIS funding and support you can get. The NDIS (National Disability Insurance Scheme) is all about enhancing equality and inclusiveness for those with disabilities to live normal, fulfilled lives. What surprises many people when looking at NDIS funding, is that the money does not go directly to the NDIS provider. Instead it goes straight to the person who needs the care so they get to make choices about how they wish to spend it. This means that the individual has more your ability to select the care and provider that is the best fit for them. The NDIS funding model is designed to improve standards of care and give people a chance to change providers if they are not satisfied. Our team are more than happy to answer NDIS funding related queries and discuss care and support options with you. You meet the disability or early intervention requirements. 1. Do you usually need support from a person or equipment to do everyday things for yourself because of an impairment or condition that is likely to be permanent? Contact Beacon Support today to find out more about the NDIS funding model and NDIS services we provide.